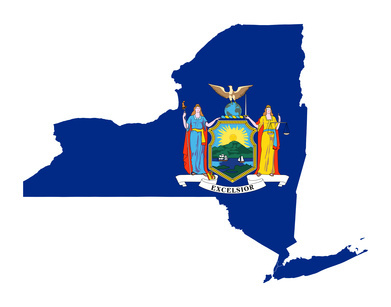 Filing bankruptcy in New York is largely the same as every other state. In case you are unfamiliar with Federal bankruptcy laws, below is a quick overview of what to expect in New York, and what makes filing for bankruptcy unique in New York. In order to file for chapter 7 bankruptcy in New York your household income level must be below the median state income level. As of 2013 (the most recent year with data), the median household income in New York state is $51,544. If you fall below this threshold than you may be eligible to file for Chapter 7 bankruptcy in New York. If you have an income greater than the median income than you must pass a means test to determine eligibility. 60 months is the longest repayment term in New York and may be shorter depending on your average income. If your average income over the previous six months is greater than the median household income in New York then you will usually be required to adhere to a 60 month plan. However, if your income is less than the median household level in New York than you can request a 36 month plan even if that means you might not repay all of your debts. Individuals do not necessarily have to lose their property in a New York bankruptcy. The laws in the State of New York as well as the Federal Bankruptcy Code provide for exemptions when filing for bankruptcy. In New York, the controlling statute for personal property exemptions is N.Y. CVP. Law Section 5205: NY Code, while the federal statute is 11 U.S. Code Section 522. This is the property that you get to keep while still erasing your debts. Both Chapter 7 bankruptcy and Chapter 13 bankruptcy allow for specific property exemptions. In Chapter 7 bankruptcy, the exemptions include property that the filer can keep. In Chapter 13 bankruptcy, exemptions determine the unsecured debts that should be paid to the creditors. In New York, filers can only use one of the two available New York bankruptcy exemptions when filing for bankruptcy: either the Federal exemptions of the state exemptions. Individuals can look at the various factors in order to decide which exemption is in their best interest. For example, a homeowner who has a significant equity amount can opt for the New York state exemption since the homestead exemption is very generous, much more so than the Federal bankruptcy homestead exemption. For an individual to use the New York bankruptcy exemptions, they must have lived in the state for a minimum of two-years before they filed for bankruptcy. If they have lived in New York for less than two years, they will be required to use the exemptions in the state they resided in for two years before they filed for bankruptcy or the Federal bankruptcy exemptions. The federal and state bankruptcy laws in New York allow for married couples to get double the exemption amount. This means that each of them can claim exemption for property that they own if they file their bankruptcy jointly. The New York bankruptcy exemption for your house, called ?homestead,? individuals can protect their residential homes or condominiums in the boroughs of Queens, Kings, Richmond, Bronx, Suffolk, Nassau, Rockland, Putnam and Westchester if they have equity of $150,000 or less. In the counties of Columbia, Saratoga, Orange, Albany, Duchess and Ulster, the homesteads have to have less than $125,000 of equity. Debtor?s homes can be exempted in other counties if they have equity of $75,000 or less. Individuals can request exemptions for some of their personal property in New York as well. Examples of property that can be exempted include: one refrigerator, one computer, one television, one cell phone, a wedding ring, household furniture, domestic animals that are worth less than $1,000, and their clothing. Other exemptions include jewelry whose value does not exceed $1,000, books that are worth $500 or less as well as family portraits and religious books. Stoves or other heating equipment, tableware and cooking utensils are also exempted. In case the individual cannot claim a homestead exemption, they can claim an additional $1,000 in cash, bank or property exemptions. According to New York State bankruptcy laws, unemployment compensation and veterans? benefits are also be exempted during bankruptcy ? yes, you can erase your debt and still keep your unemployment or VA benefits! Other benefits that are exempt include illness benefits, social security benefits, local public assistance benefits, alimony, domestic support, and pension and retirement plan benefits. One vehicle that is worth between $4,000 and $10,000 and that is owned by a disabled debtor cannot be liquidated to pay any debts. However, this vehicle is not exempted from debt owed to the state, or money that they may owe for domestic support like alimony or child support. Another amount that is exempted is money that is less than $7,500 that and that is paid to the debtor for personal injury reasons. Individuals who have uniforms, equipment and arms that they used in military service can be exempted from liquidation. Awards and pensions that debtors received from their military service are also exempted during the bankruptcy process. If a debtor has $600 or less in a loan and saving association, this amount will be exempt. If exempted personal property has been damaged and they are receiving damages from an individual or an insurance company (such as a tornado, flood, or hurricane), these payments are also exempted. Up to 90% of the wages or income that were earned by the filer less than sixty-days before filing for bankruptcy are exempted. They will also retain up to 90% of the money they earned from the sale of milk on their farm (if that applies to you!). If they are a non-commissioned officer, a musician or a private in the armed forces, they will retain all of their income and wages earned sixty-days before they filed for bankruptcy. In the case where a bankruptcy filer has a burial plot that is a quarter of an acre or less and that does not have any building on it, other than a monument or a headstone, this property is exempted. In case they have a number of tools that are necessary for their trade and that are worth $3,000 or less, these tools will be exempted. In addition, tools, books and implements that are worth $2,175 or less that are necessary for the filer?s business or trade are exempt from liquidation after filing for bankruptcy. There are many other exemptions that can be used to protect particular property in a New York bankruptcy. The state updates its list of exemptions every three years. New York bankruptcy attorneys are always up-to-date and they can advise you on the property that you can protect after filing for bankruptcy.